Group Youth tent sleeps 10. Easily erected and extremely stable. Made from Cotton Canvas Waterproof 280, 325 or 450 gms per square meter natural white or olive green. With mud-flap of heavy duty P.E. Fabric. The tent comes packed in a cotton carrying bag. Complete with metal poles, iron pegs and a carrying bag. Made from 100% Cotton Fabric in 270 Gms/M2 or 325 Gms/M2 or 450 Gms/M2 in natural white or coloured. 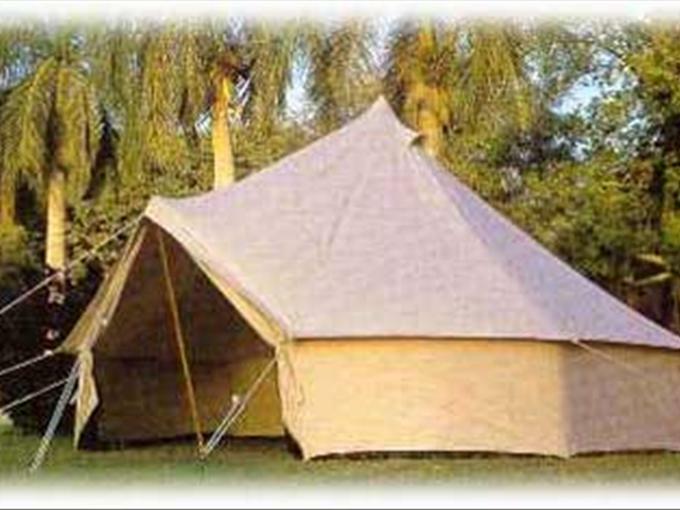 Due to larger dimensions it is suitable..
General Purpose tents can be used for any kind of functions. these are made with a high quality canvas. These can be used in every kind of weather and locations.